Trend Micro, supplier of antivirus software and other network security products, adopted Extended Validation (EV) SSL Certificates from VeriSign as part of a major Web site upgrade to boost conversion rates. The project succeeded on all fronts, especially in the area of renewal completions – which rose 8.4% after EV was introduced. With its vision of providing “a world where it is absolutely safe to exchange digital information,” Trend Micro provides a range of antivirus and other network security products to protect society from unpredictable threats such as the malignant virus attacks that are now occurring on a daily basis. Trend Micro consistently achieves the number-one position in antivirus software market share in Japan. Their leading status is a credit not only to the quality of their products, but also a tribute to the ease with which customers can shop for their solutions on the Internet. Online purchases account for 30% of the company’s consumer products sales in Japan. 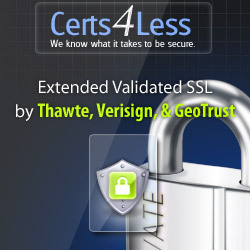 To obtain the most value from the VeriSign Secured Seal, Trend Micro experimented with various placements on its personal information input page and its registration page. They found the seal was most effective when placed near the upper right corner, where it is instantly visible when opening a page. Trend Micro’s Web site renovation project was a tremendous success. Since the new site was published, it contributed to so many sales that Trend was awarded Japan’s BCN Award for 2009 as the top-selling provider in its category during 2008.